Discussion in 'Guides' started by theoldboy, May 7, 2018. 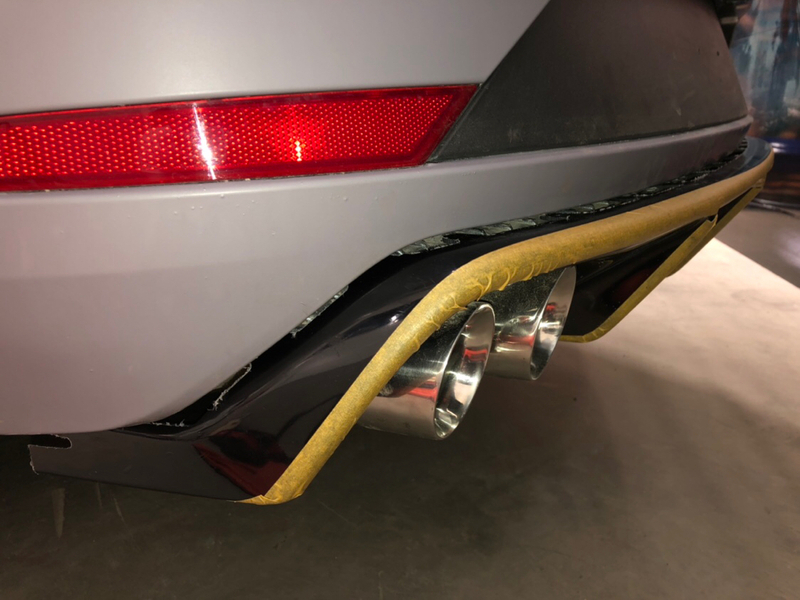 I was in the process of fitting a new rear diffuser to the car and it became obvious that i would have to remove the bumper to do this. I took a few photos and the rest is wordy but hopefully it will help you if you have to take off yours. 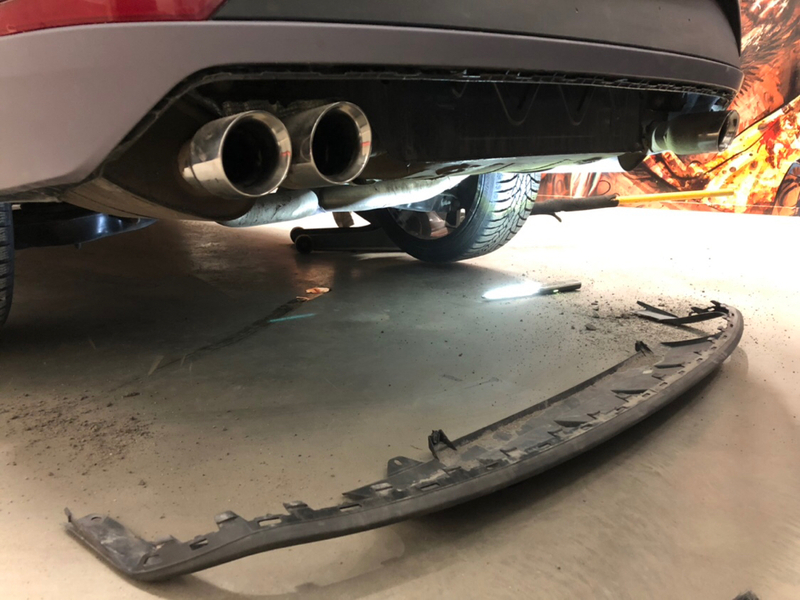 HEADS UP - to remove the rear bumper you have to remove the outside light units as well - be careful. 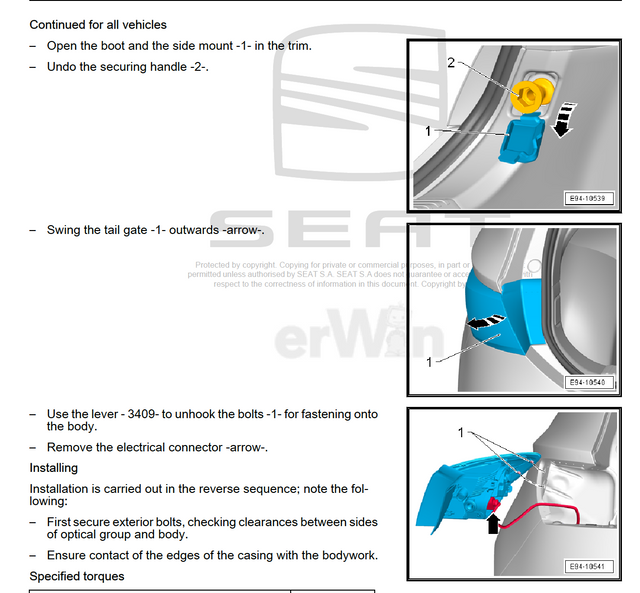 I had a look at the various documents i have on the car, the following picture gives the best view of whats involved. 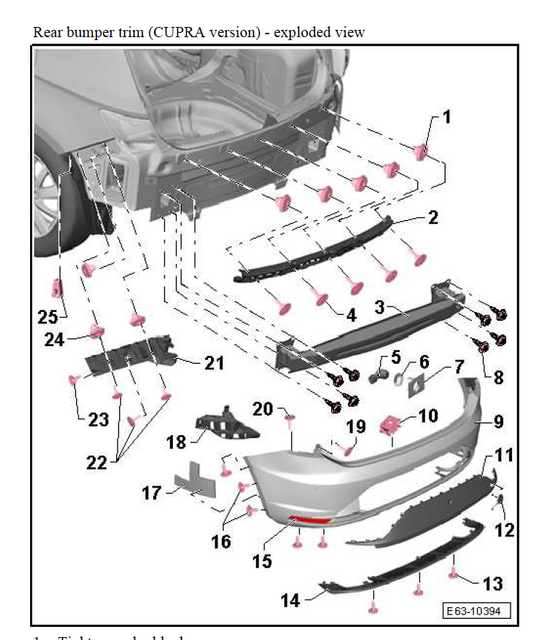 So there are a lot of bits to the whole assembly but to remove just the plastic bumper there is less to worry about. You now need to remove the rear lights. 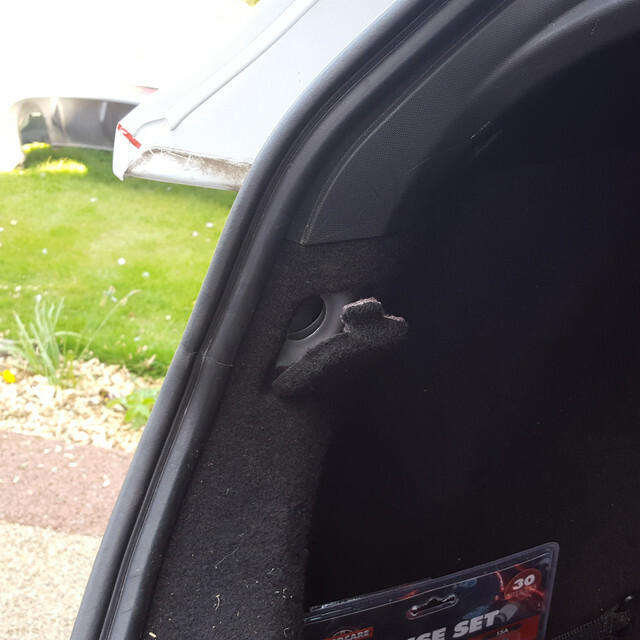 In the boot on the left and right hand side there is a flap that you can open and then you will have access to unscrew the bolt that holds the lights in place. WARNING DO NOT OVERTIGHTEN WHEN PUTTING BACK IN. 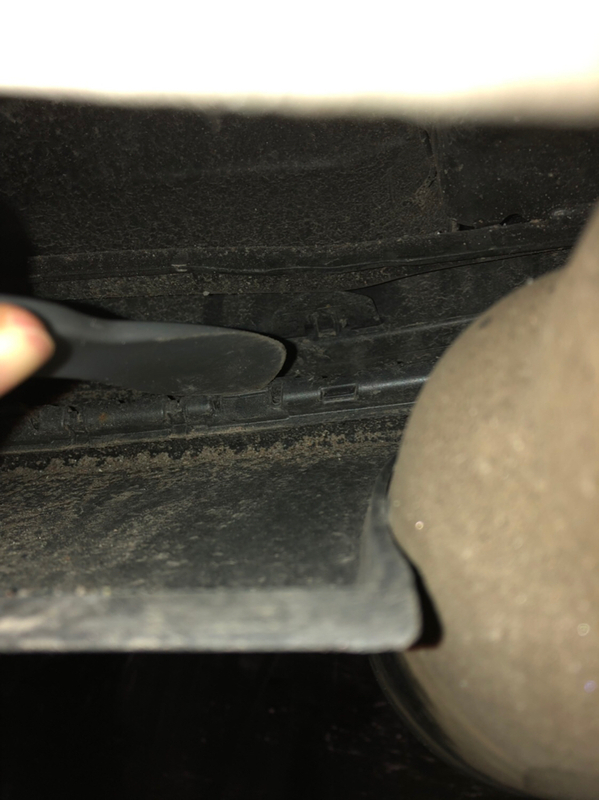 When you remove the flap you will see a big bolt hole, dont worry a flat ended screwdriver will go in the hole and undo it with no issues. The light unit is now free and as per the instructions you have to carefully move the light out and pull it clear (if you look at the picture below you will see there are two bolt holes that the light clips into to keep the lights in place). Please note the hard plastic that sits in the water gully will need to be moved to allow you to do this. Just take your time and dont apply to much pressure. You have now undone all the screws/bolts that are visible, Now you can undo the ones that have been revealed as you have taken the lights out. 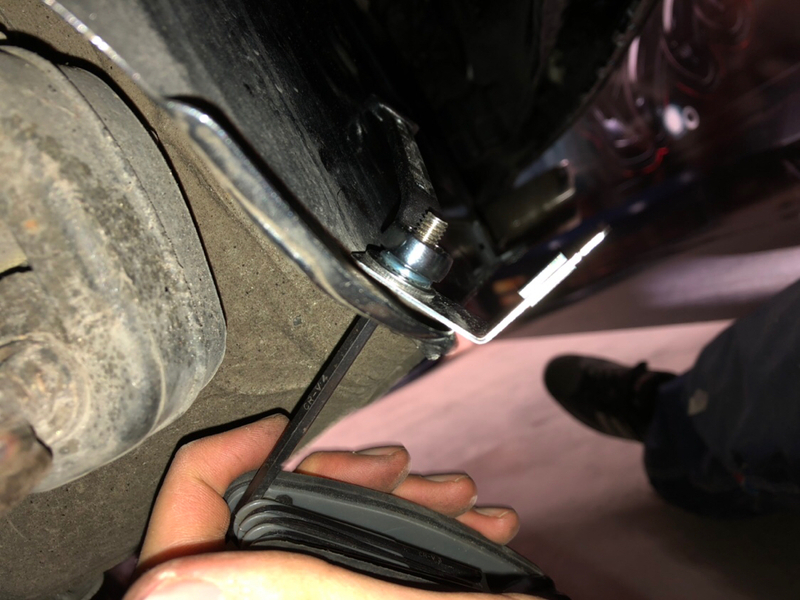 If you look at the picture in Step three you will see that there are two bolts, (One at the top of the bumper and one next to the boot opening) undo these two bolts and the bumper is now free to remove. 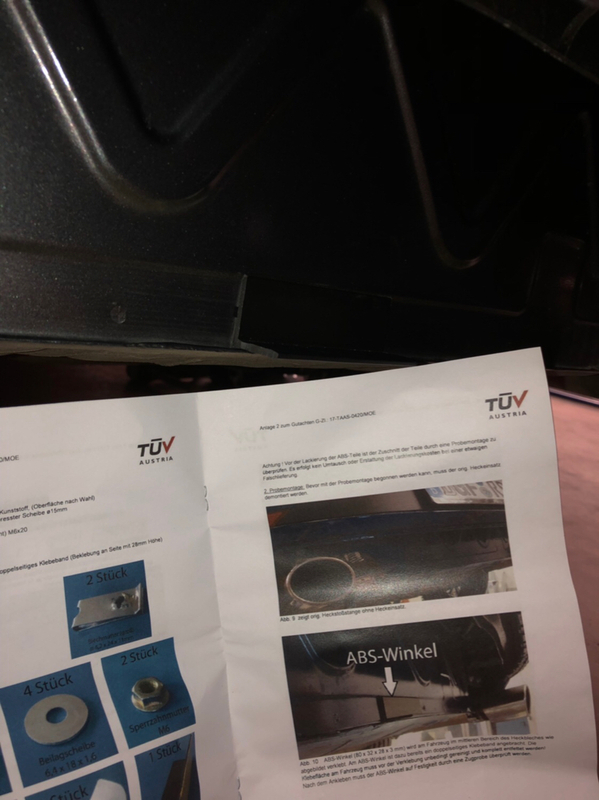 As you can see in the pictures below the bumper is help in place with clips all you have to do is carefully (starting on the outside edge first) and from the bottom pull out, you will hear some clicking as the clips become free. 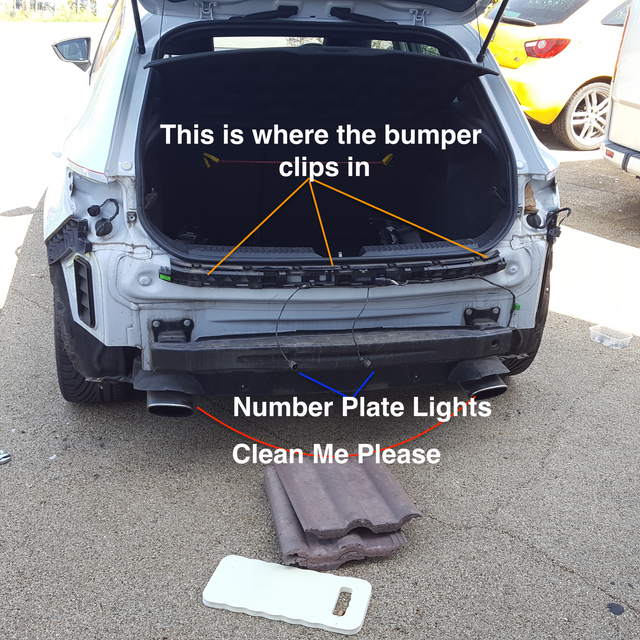 Please ensure you have help or something raised to put bumper on as elec wires are stretched when bumper on the floor. 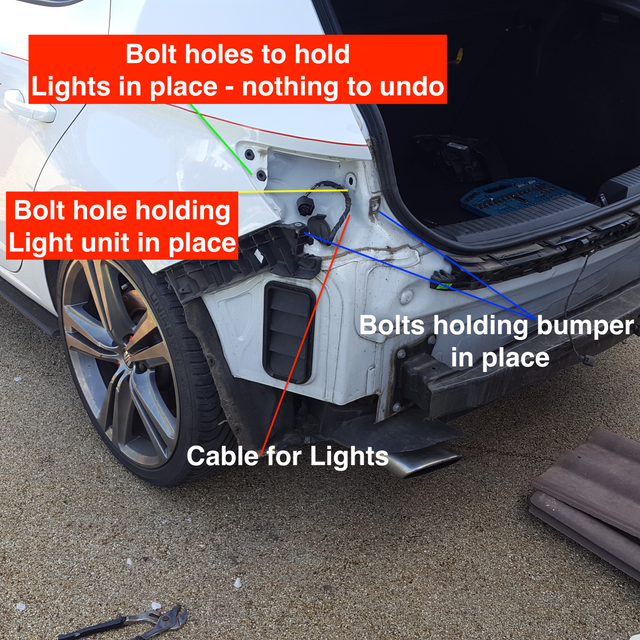 Once you have freed up the bumper you will see three wires (if you have reversing sensors). Two of these are for the number plate lights and one is for the reversing sensors. Just unplug the three connectors (sorry no pictures) and then you can move the bumper away. 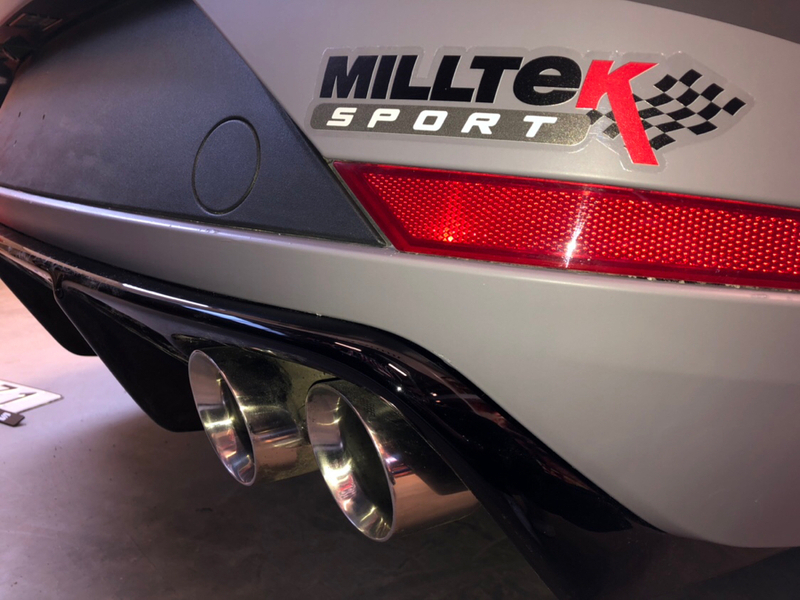 Before we go to pictures, now is the time for you to clean your bodywork and most importantly the rear of you exhaust because its very easy to get to the whole end, make the most of this. 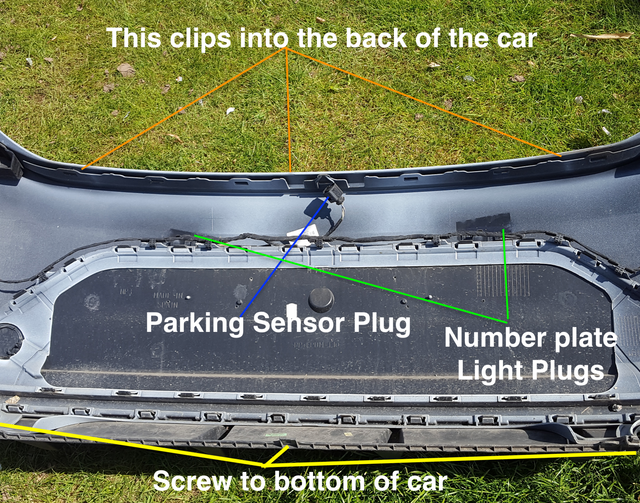 Bumper removed - with descriptions of various components. Daire92, Bastowe, Jackcoatsey and 2 others like this. Big thank you @theoldboy for the guide! Wouldnt have chanced it without your great pics. 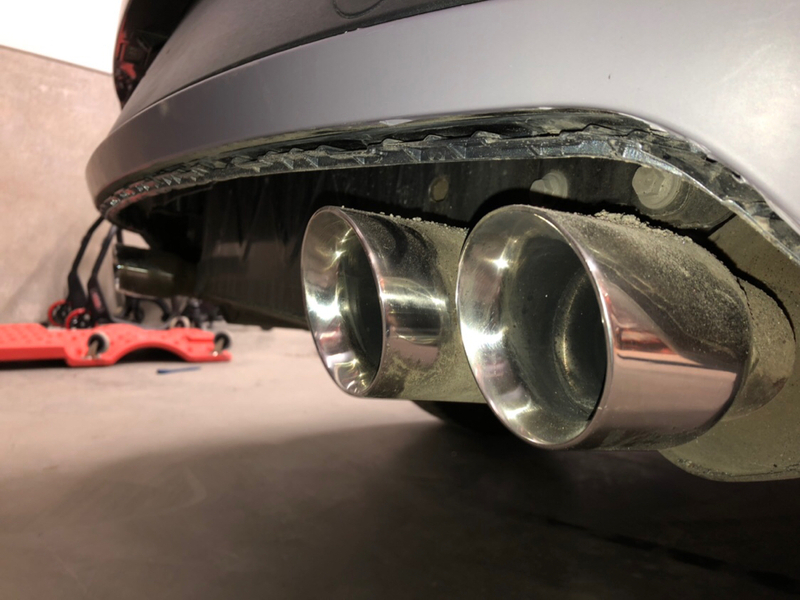 Got my Rieger diffuser installed today! paddy6789 and theoldboy like this. 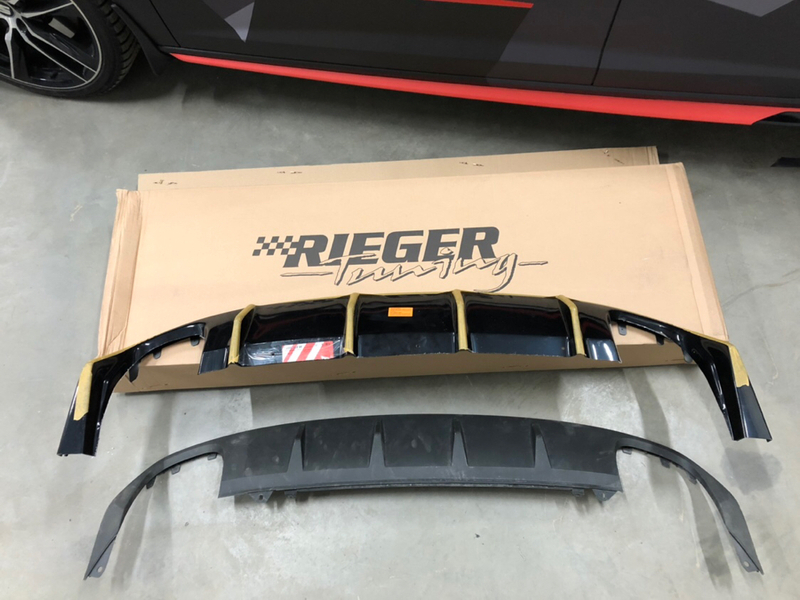 No the ST Has a different bumper setup and from memory some guys have fitted the Rieger one without the need to take it off. However on the 290 3 / 5 door I am pretty sure they had to remove it to fit the Rieger one. Its not a hard job to do I did it on my own. 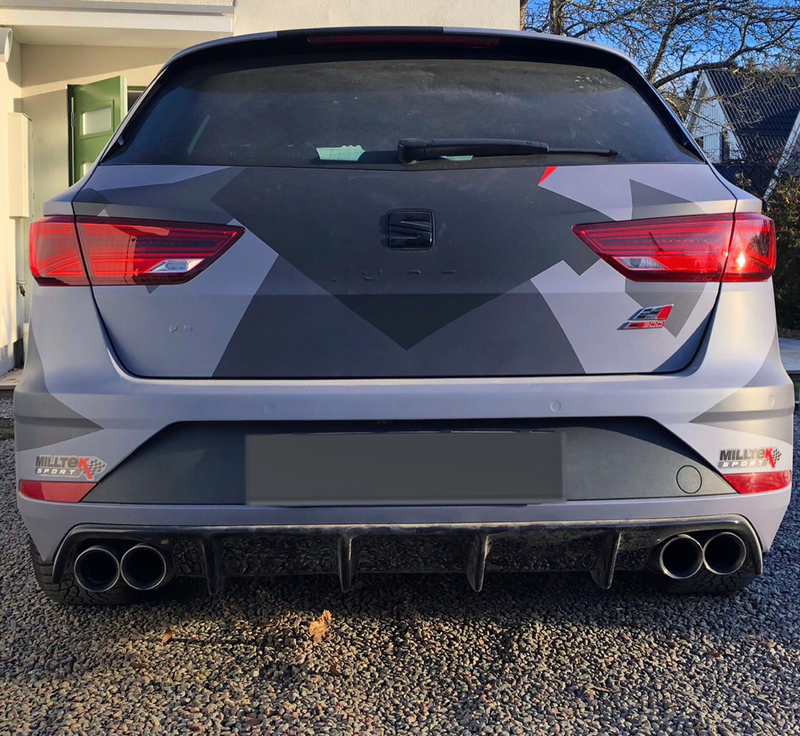 @Smyg check out this reply https://forums.seatcupra.net/index.php?threads/project-cupra-st-2019.449016/#post-4828403 as I recalled you do not have to remove it on the ST. 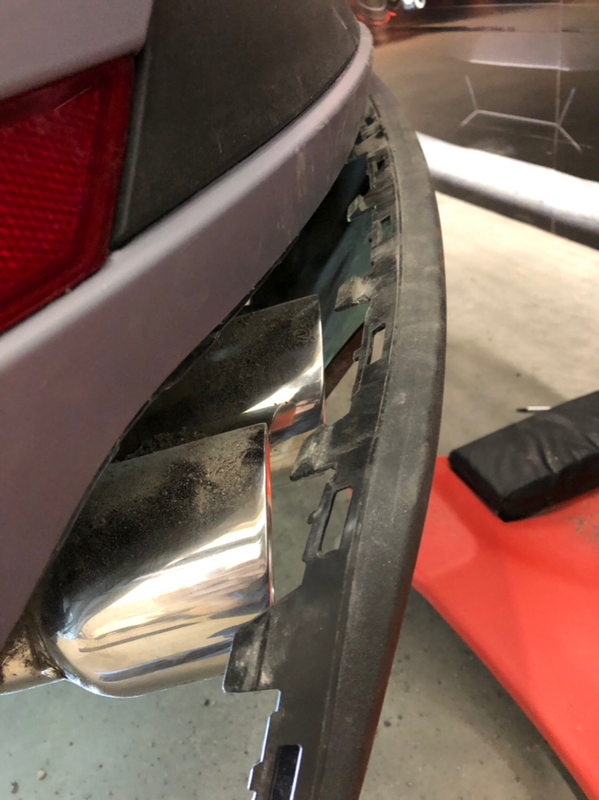 The stock diffuser required the rear bumper to be removed. It's held in with so many little clips which will induce much swearing when trying to remove. Jimbobcook, Deano j1971, theoldboy and 1 other person like this. +1 and thanks for how to pics.